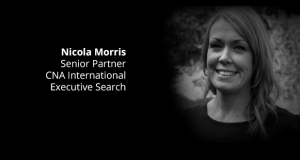 Nicola is an Executive Search Consultant with CNA International, with previous experience within HR Management across the Private and Public sector she has a superior level of understanding from a client’s perspective. She combines this experience with years of in-house and agency recruitment to search and select the very best talent. With the labour market taking a steady positive incline, business leaders need to keep up.